It's that time of year when the spring bulbs have stopped flowering, and our annuals are coming to life. This week full of rain has gone a long way towards helping our gardens to grow! Mickey Rathbun of the Daily Hampshire Gazette weighs in again, in the following article, about how to care for your spring bulbs to ensure that they continue to bloom. She offers advice about prettying up garden beds where deflowered bulbs are still hanging out, and lets us know about some upcoming gardening and nature events in the Northampton area! The moral of the story is, don't cut those bulb flowers back just yet! Most spring bulbs have flowered by now and are looking a bit forlorn, surrounded by burgeoning spring perennials that are growing almost visibly by the day. The green stalks and leaves of tulips, narcissus and other bulbs may look idle, but they are working hard to store up energy to produce next spring’s crop of blooms. To ensure abundant flower production next year, resist the urge to cut back the foliage, even though it’s unsightly. The remaining leaves serve a vital function to the plant by restoring energy to the bulb by producing carbohydrates through photosynthesis. Without this, the bulb will not have the necessary nourishment to produce flowers the following year. Leave the foliage until it turns yellow and dies back, a process that can take six weeks or longer. If the dying foliage is making an eyesore in a visible part of the garden, you can hide it by strategic planting perennials. I finally figured out that if I plant spring bulbs near the back of the border, they are naturally camouflaged by early blooming perennials such as bleeding hearts and euphorbia. This year, a bumper crop of forget-me-nots came up among my bleeding hearts, creating a lake of pale blue. While not tall enough to mask the scraggly bulb foliage, they distract the eye. To maximize the bulbs’ ability to send out next year’s blooms, it’s a good idea to snip flowers as soon as they have wilted. This prevents the bulbs from wasting energy on producing seed. Leave as much stalk as possible to promote photosynthesis. When the foliage is finally caput, cut them close to the ground. Don’t pull them out or you will risk damaging the bulb. After all you’ve done to nurture the bulb, you don’t want that to happen! Bulbs will multiply underground on their own. After a few years, if you notice they are producing fewer flowers, it’s likely because they’ve become overcrowded. If this happens, you can dig them up and separate them. The best time to do this is after the foliage has died but before you have removed it. At this point, the bulbs are fully nourished. Dig them up carefully, separate the bulblets and replant them. The largest ones will mature the fastest. If the main bulb is still firm and in good condition, you can replant it. If it’s shriveled or damaged, discard it. You might want to wait to replant them in the fall. If you go this route, clean off the excess dirt and let the bulbs dry out for a few days. Toss any that are soft or damaged. Store in a cool, dry place packed loosely in dry peat moss. You may need to wait a year or two for the bulbs to produce flowers. If you don’t want to wait, you can plant the bulblets in a holding area until they are big enough to bloom. This requires twice as much digging and lifting as immediate replanting. Let your back (and knees) be your guide. Just think of the delight spring bulbs bring us after a long New England winter. Take good care of yours now and you will be richly rewarded. Paradise City Arts Festival THIS COMING WEEKEND! Although this wonderful annual festival offers much more than garden adornments, it’s a great place to find that special object that can transform your garden into something unique and personal. Unusual birdbaths, planters, outdoor sculpture, furniture and more. The festival takes place at the Three-County Fairgrounds in Northampton, Memorial Day weekend, from 10 a.m. to 6 p.m. on Saturday and Sunday and open until 4 p.m. Monday. Tickets are $14 for adults, $12 for seniors, $8 for students, 12 and under free. For nature lovers and hikers wanting to learn more about forest ecology, the Hitchcock Center is hosting an exploration with plant ecologist Glenn Motzkin of a rich, mesic forest — one where the soils are not highly acid, are rich in certain minerals, and where the soil is moist but not wet. The site will have good variety of trees, wildflowers and ferns. Motzkin will help bring the ecology of this habitat alive for participants and will share recent understandings about the importance of these habitats. The walk will take place June 3, 9 a.m. until noon, at a meeting location to be provided upon registration. Be prepared for insects and perhaps ticks! Cost is $20 for members; $30 for non-members. For more information and to register, go to hitchcockcenter.org. Come spend a few hours enjoying the six special gardens featured this year in and around Northampton on the 24th Northampton Garden Tour June 10 from 10 a.m. to 3 p.m., rain or shine. The self-guided tour raises funds for the Friends of Forbes Library, Inc. to help finance needed programs and materials for the library. It also aims to inspire and educate garden-lovers with visits to a variety of appealing landscape styles and collections of plantings. This year’s six gardens are located along a scenic 15-mile route, making gardens accessible by car and offering a pleasant bicycle ride with varied terrain. Driving directions are included with the tickets. At each garden, there are descriptions of the plantings and volunteer garden guides on hand to answer questions. Tour tickets are $15 and can be purchased in advance at Forbes Library, Bay State Perennial Farm, Cooper’s Corner, Hadley Garden Center, North Country Landscapes and Garden Center, and State Street Fruit Store. On the day of the tour, tickets are $20 and available only at the library. There also will be a raffle. of gift baskets on view at Forbes Library through June 8. For more details visit www.forbeslibrary.org or call Lyn Heady, 584-7041. 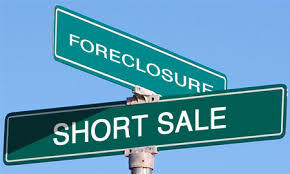 Mickey Rathbun can be reached at foxglover8@gmail.com. It seems that my favorite time of year is upon us once again (despite the lingering chill in the air). What is more hopeful and celebratory than driving down the Northampton roads and seeing the dogwoods, cherry trees, magnolias, apple trees, peach trees, lilacs and azaleas all in bloom? Before your garden beds are overcome with weeds and the colorful flowers of early spring have died back to allow for the next group of perennials to show their beautiful selves -- you have an opportunity to fill in the blanks! The following article from the Daily Hampshire Gazette lists some local plant sales going on this weekend and beyond - as well as suggestions for colorful additions to your garden beds. Every year when my perennial beds come to life, I notice two or three places where a shriveled brown clump is all that’s left of a once-thriving plant. I often blame the burrowing rodents who kill my plants by feasting on their roots over the winter. (Surely, the cause of death couldn’t be my lack of care!) Last summer’s drought caused the demise of some of my newer perennials whose root systems hadn’t had the chance to develop. I’m certain I’m not alone in discovering bare spots in this year’s emerging garden. Threadleaf coreopsis provides an easy color infusion for a sunny border. 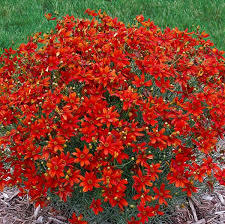 The new coreopsis ‘Crazy Cayenne’ is as hot as its name suggests. Masses of fiery sunset orange blossoms hover over needlelike foliage. The sun-loving plant has a compact, mounding habit. With occasional deadheading, it will continue to bloom throughout the summer. I love delphiniums. They are short-lived, but their colorful spires of flowers are so spectacular in the early summer garden I can’t pass them up. ‘Pink Punch’ delphinium is perhaps the deepest pink delphinium ever. It bears frilly mulberry-pink blooms with white, brown or pink-striped centers (called “bees”). A New Zealand hybrid, ‘Pink Punch’ grows from 3 to 6 feet tall, but its strong stems seldom require staking. Delphiniums come in a range of colors, from deep purple to pink and white, but I’m a sucker for blue, a hard-to-find color in the perennial world. 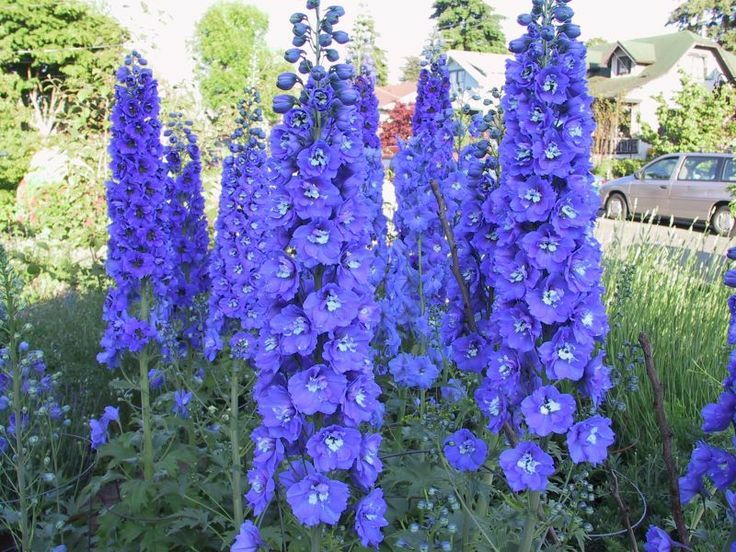 ‘Blue Bird’ is another brilliantly hued new variety of this stately, elegant early summer plant. This is a Pacific Giant Hybrid, with a bright blue blossom and a white “bee.” It grows from 4 to 6 feet tall, so staking is recommended. Foliage can add color, too. 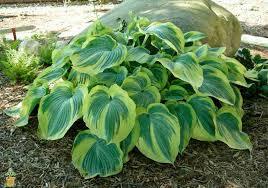 I depend on hostas to brighten up my shady areas. A lovely new hosta, ‘Earth Angel,’ has variegated lime and blue-green leaves edged in creamy white. Its pale lavender flowers bloom in early summer. Heucherella x. 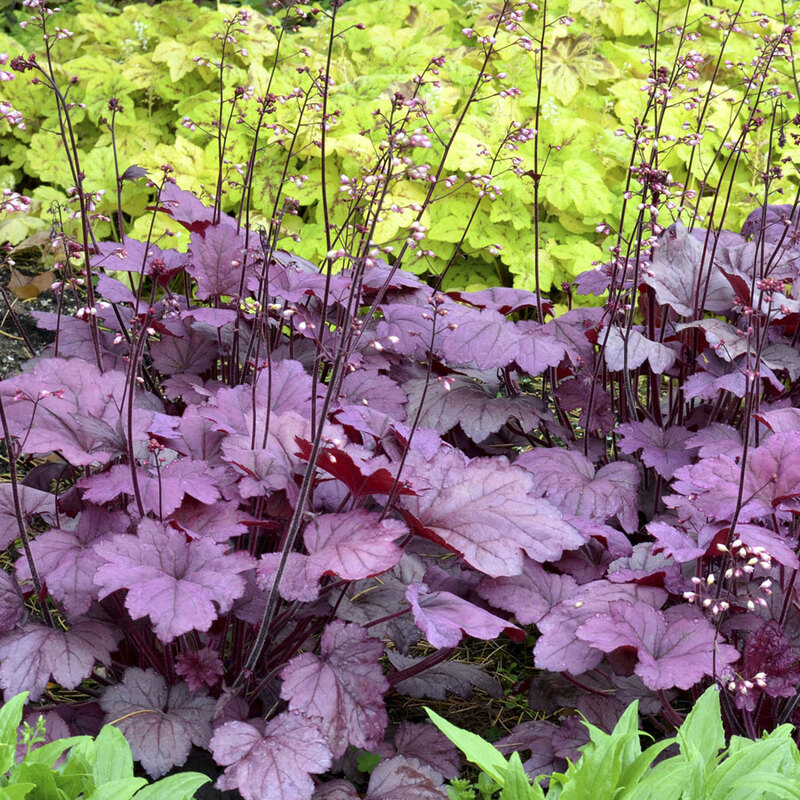 ‘Plum Cascade’ is another foliage star, with lobed, silvery-purple leaves that have a trailing habit. Its pale pink flowers rise above the foliage on short, strong stems. Some people dislike daylilies because, as their name suggests, the blossoms last only a day before wilting and turning yucky. Despite this, I am a huge fan. The bright green, strappy foliage holds up well through the summer, and the abundant blossoms come in an ever-widening assortment of colors. This year’s ‘Primal Scream’ sports enormous blooms (7 ½ to 8 ½ inches wide!) in brilliant tangerine. 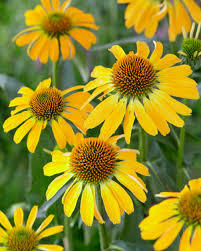 Its petals are narrow, twisted and ruffled. I’ve found that if I choose varieties carefully, their range of bloom times will keep my daylily border colorful all summer. ‘Primal Scream’ blooms in early July. Who can resist a splash of bright yellow in the garden? The new Echinaea ‘Golden Skipper’ has abundant, lemon-yellow blooms on sturdy, compact stems that reach only 15 to 18 inches tall. This plant is named after a yellow butterfly of the same color. 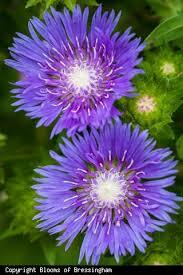 Stokesia laevis ‘Blue Frills’ is a new variety of the popular Stokes Aster that brings color in late summer and early fall, when other perennials have finished blooming. With a tidy, vase-shaped growth habit, this aster has large, electric blue flowers (2 ½ to 3 inches wide) with a sparkling white eye. It does best in full sun with good drainage. This sampling barely scratches the surface of the latest offerings from perennial propagators everywhere. Wilder Hill Gardens in Conway is having a Mother’s Day Weekend Dig Sale, Saturday and Sunday from 9 a.m. to 5 p.m. A wide variety of field grown perennials, hardy flowering shrubs, organic small fruits and excellent annuals will be available. On May 19 and 20, Berkshire Botanical Garden in Stockbridge will hold its 40th annual plant sale. There will also be a tag sale. Members have special early bird privileges on May 19 from 9 to 11 a.m. The sale is open to the public May 19. 11 a.m. to 5 p.m., and May 20, 9 a.m. to 5 p.m. The Garden Club of Amherst will hold its annual plant sale May 20 from 8:30 a.m. to 2:30 p.m. under the tent, next to the Amherst Farmers Market on the Amherst Common, rain or shine. There will be many wonderful plants including hundreds of perennials, hostas, woodland plants, grasses, shrubs and trees; plants for sun and shade. This year’s sale will also feature bags of fully composted horse manure from a local farm. Proceeds from compost sales will benefit Chesapeake Safe Harbor, a wonderful rescue and rehoming operation for Chesapeake Bay Retrievers run by Roger Booth and his daughter, Gibby, of South Amherst. The Southampton Woman’s Club, celebrating 100 years of service, will hold the annual Anita Smith Memorial Plant Sale May 20 from 8 a.m. to 1 p.m. at the One-Room Schoolhouse at Conant Park on Route 10 in Southampton. Held yearly since 1991, the plant sale is a nonprofit project with all money going to support a college scholarship program for area youths. The sale will feature locally grown perennials, annuals, vegetable and herb plants. The club will also be selling a selection of vintage and “gently used” garden tools, containers and decorative garden items. Anyone wishing to help this scholarship program in the form of a monetary donation, or in the form of potted perennials, is encouraged to do so. Please call 527-4568 for further information. Our pollinators are declining at an unprecedented rate worldwide due to human-induced, rapid environmental change. These declines pose a significant threat to our food supply; consequently, there has been major focus on the development and implementation of conservation strategies to maintain pollination of agricultural crops. However, not enough attention is paid to the key role pollinators play in natural ecosystems, making them an ineffective tool for maintaining and restoring biodiversity. On May 21, from 1 until 3 p.m., Tower Hill Botanic Garden in Boylston will host a lecture and guided walk with Dr. Robert Gegear, from the WPI Department of Biology and Biotechnology, focusing on pollinator friendly environments. Gegear will discuss the importance of developing an ecologically focused approach to gardening. He will also provide information on how to identify local bumblebee species. After the presentation, Gegear will lead a walk through the gardens to show how to put his suggestions into practice. Who knew that having a green thumb could help with air quality in your own home? As the winter months set in, we are sealed up inside of our ever-more energy efficient homes. The "tighter" the home, the less fresh air that will naturally circulate within that home. I know that in our household, it seems my family members and I take turns feeling lousy this time of year. We live in an energy star rated home with a circulation system to keep fresh air moving through the house - but still, access to fresh air is limited as compared to warmer months. I have often thought that the lack of fresh air can lead to this increase in illness or allergic responses. The following article from Northampton's The Daily Hampshire Gazette on Tuesday, January 17th, makes helpful suggestions about how homeowners can keep indoor air cleaner during the winter. I love that adding beautiful plants to your home has the added benefit of making the air cleaner! Peperomia, seen at Hadley Garden Center, is a plant said to purify air. Chinese evergreen, seen at Hadley Garden Center, is a plant said to purify air. Orchids, seen at Hadley Garden Center, are flowers said to purify air. Angela Karlovich, who works at Hadley Garden Center, holds an aloe vera plant, one that is said to purify air, Dec. 12, at the store. The ravages of winter drive us inside, where we take comfort in a warm home well protected and insulated from the elements. But while a weather-tight home is great for saving energy and resources, that efficiency often comes at the expense of indoor air quality. When the windows are closed for the season, a variety of indoor air contaminants can accumulate and bother residents. Some of these contaminants are allergens such as mold spores or dust mites. Others are toxic organic compounds off-gassing from furniture, building materials or carpets. Dr. Jonathon Bayuk, medical director of allergy services at Allergy and Immunology Associates of New England, says there are many things homeowners can do to clean indoor air. Air purifiers can remove allergens and other air contaminants, including dust mites, smoke and mold particles. Bayuk advises buying one that is big enough for the area of the room and uses a HEPA filter to trap contaminant air particles. He cautions against products that utilize blades. This type of air purifier creates ozone by generating tiny electrical sparks when the blades strike a contaminating particle. While each spark generates a minimal amount of ozone, over the course of a day, the ozone can accumulate to toxic levels. Mold spores are a common indoor allergen. Bayuk says different kinds of mold can grow in homes, particularly in more humid areas of the house, such as the basement or in bathrooms. Many people find that using a dehumidifier can be helpful, particularly in the summer, to keep mold growth at bay. Keeping the relative indoor humidity below 50 percent helps to discourage mold growth, according to Bayuk, but it’s important not to let humidity drop too low as dry skin can often become a problem when relative humidity drops below 35 or 40 percent. Mold growing on a hard surface, such as a tub, can be relatively easy to clean (Bayuk recommends a solution of one part bleach to 10 parts water). However, porous objects, such as a box of books in the basement, may need to be disposed of in order eliminate that source of mold spores in the home. Dust mites are another common indoor allergen that can cause year-round problems for people with a sensitivity to the enzymes they excrete. Dust mites feed on the dead skin cells that humans and pets naturally shed, as well as dust, pollen and other organic material. They live in areas where they can find food, sufficient moisture and warmth. Carpets, couches, and mattresses are common areas where dust mites live and breed. As these surfaces are porous, they gather below the surface of the fabric, making it difficult to get rid of them. Bayuk says a mattress cover is a great place to start in curbing dust mites. The cover is made of a very tight fabric the mites cannot penetrate. Cleaning the cover on a weekly basis keeps them from piling up on these surfaces. Reducing clutter and keeping a house clean can also reduce the number of dust mites. Bayuk recommends using a high-efficiency vacuum with a HEPA filter to remove mites and their food sources from carpets and sofas. Dust mites are fairly easily removed from hard surfaces as they stick to a damp cloth. Bayuk says using a feather duster is virtually useless, and simply moves the mites and the particles they feed on to another surface. Organic compounds off-gassing from dry-cleaned clothes, and from newly applied paints, lacquers and varnishes, as well as from newer furniture, carpets and building materials are another source of indoor air pollution. In the late 1980s, NASA conducted a series of experiments to see if indoor plants could be used to purify the air of future space habitats. The agency’s final report on the experiments showed that some of the most common and easily cared-for houseplants were surprisingly effective at decreasing levels of the most common organic compounds found circulating indoors. Hadley Garden Center stocks many of the plants named in the study. Greenhouse manager Angela Karlovich is familiar with the NASA study, and can lead customers to a wide variety of air-cleaning plants that perform well in a wide variety of indoor settings. Dracaena: Several varieties were tested by NASA and were found to be effective at removing trichloroethylene (TCE), benzene and formaldehyde. Spider plants: effective at removing formaldehyde. Spider plants are also non-toxic to pets. Bamboo palm: removes TCE, benzene and formaldehyde. Bamboo palm is non-toxic to pets. While sun-loving Gerbera daisies are usually planted outside, these plants removed the most TCE and benzene of all the plants tested at NASA. They are also non-toxic to pets. Bayuk says like all plants, those mentioned above also add to indoor air quality by converting carbon dioxide into oxygen.